It often falls to safety managers, human resource professionals, or workplace administrators to create the materials used in contractor and visitor orientations. In many cases, this is appropriate because these people are very familiar with the material contractors and visitors need to know. Put simply, most people who create contractor and visitor orientations for their work are experts at their primary job but aren’t skilled in multimedia and/or training production. And that leads to orientations that are confusing, inaccurate, or uninformative. Solution: Have your training materials professionally created. Training content providers have experienced workers with skills in writing, instructional design, graphic design, and software engineers who do this stuff for a living. Let them do what they do well and your staff can get back to doing what they do well. It’s a win-win situation that makes everyone happy. Each of these options provides any number of scheduling and logistical problems. 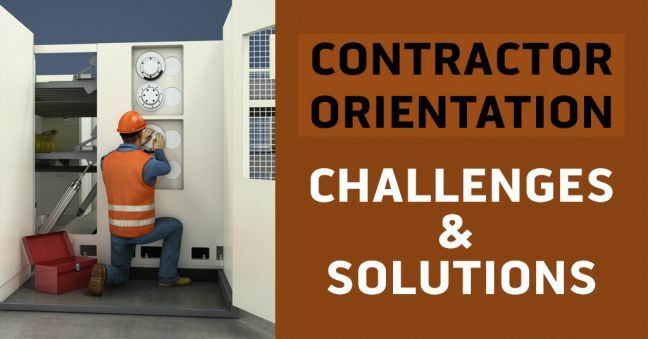 Will the contractor companies deliver the orientations you send them? Who will take the time to schedule contractors to attend onsite orientations, and will those contractors arrive? If the contractors do arrive, who will take time to lead orientations? What happens if contractors arrive for spontaneous training at inconvenient times? If you’ve ever tried any or all of these approaches, you know well that they’re a hornet’s nest of problems. Solution: Use an Online Delivery System. The simplest and easiest way to handle this is to provide the orientations through a secure, online website that’s available 24/7. Let contractors self-register, receive appropriate orientation assignments, and complete the orientations from their o ces or homes before they arrive at your work place. You might think that once a contractor or visitor has completed his or her orientation, the hard work is done. But in reality, that’s just the start. Who completes a record that each contractor has completed the training? Who stores it? Where is it stored? If the training expires after a year or two, who keeps track of that and schedules refresher training? Where are your records kept—in a paper-based system in manila envelopes in a metal file cabinet in the corner? Or maybe in one of a thousand Excel spreadsheets saved somewhere on your network? No matter how you look at it, traditional record-keeping systems are a recipe for disaster. Solution: Store Completion Records Electronically. 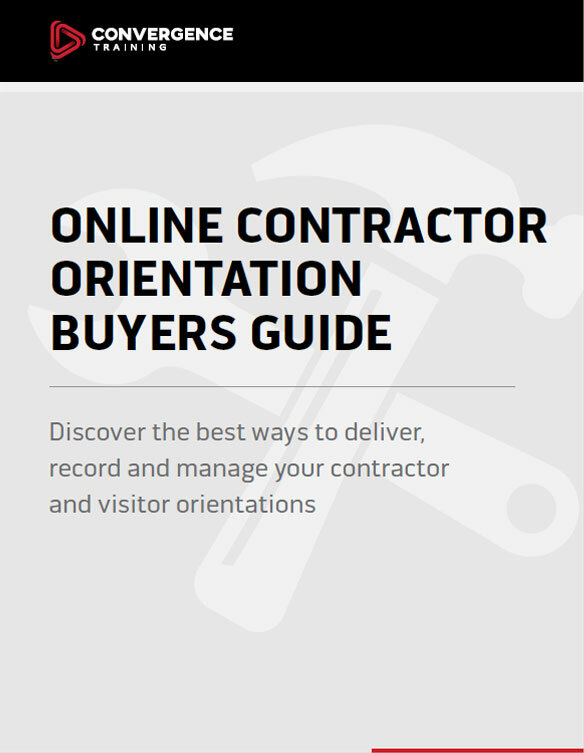 An online contractor orientation program can provide better orientations to your contractors while also easing administrative hassles and reducing your costs. One customer told us that switching to our program saved him nearly $60,000 in one year. Why not give it a try? And hey, free free to download the free buyer’s guide below.